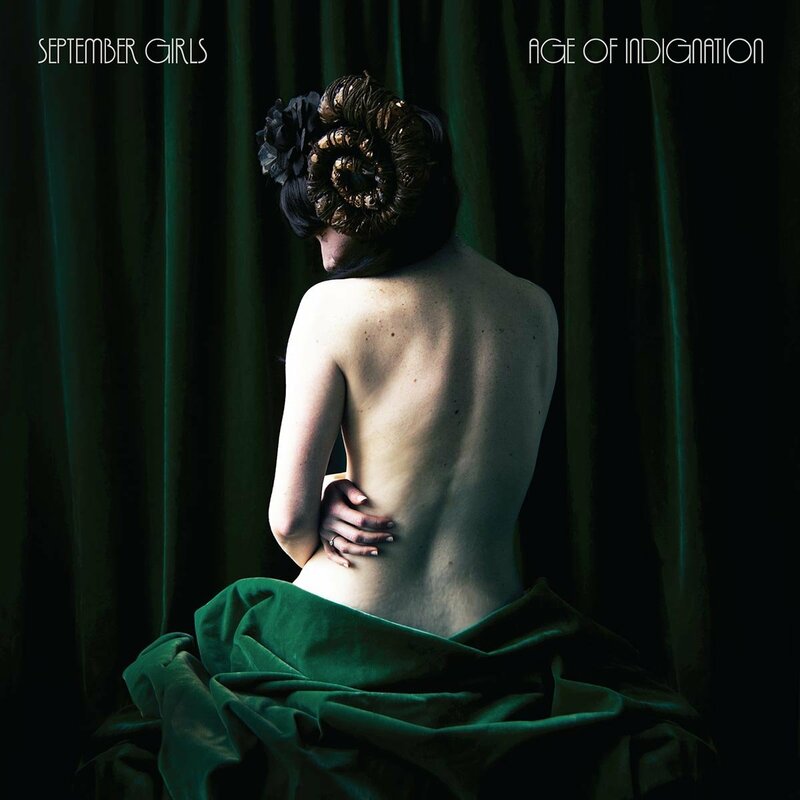 Age Of Indignation is September Girls second album and is the album that you would have hoped for as a follow up to their debut, Cursing The Sea. With their name being taken from the 80’s rock group, The Bangles’ popular cover of the Big Star track, September Gurls, on this album they take a cue from the sultry melodies, haunting vocal harmonies and heavy guitars that dominated The Bangles. Album opener Ghost is an immediate reminder of that inspiration though from that starting point, September Girls take a much darker track, veering away from the pop sound that made The Bangles famous. This five piece band from Dublin share the song writing and lead vocals on this album, but regardless of who is doing the singing, the lead is always given prominence in the production mix. There is the hazy and hallucinogenic Jaw On The Floor and the multi-vocal, almost choral chants on Salvation which were hypnotic. Age Of Indignation has an undercurrent of concern for social issues running through it, including the social induced narcissism in the defiant Love No One, domestic violence in the fast paced track Blue Eyes and organised religion in Catholic Guilt. As with their earlier releases, September Girls are at their best when they are barrelling forward on top of Sarah Grimes’ excellent drum work, and album highlight Quicksand best demonstrates this aspect of the band; its urgency providing the album with a burst of energy before it draws to a close with the slow burning Wolves. Age Of Indignation is an angry record, but it is also a record that shows a band becoming more assured and adventurous as it ages. September Girls have something to say and this album certainly accentuates that message.